For those of you who prefer your stock car racing on paved ovals, you'll be happy to hear that it's going to be another busy, and exciting, weekend for that genre of motorsports. Normally this column presents the race tracks in alphabetical order. However this weekend features a pair of events so hot you practically need oven mitts to hold on to the tickets. So if you don't mind a slight change in format, I'm going to take the letters "I" and "K" and move it to the top of the alphabet this week. IRWINDALE SPEEDWAY, (IEC). 1/2 & 1/3 MILE. IRWINDALE, CA. www.irwindalespeedway.com SATURDAY, JUNE 18TH. The IEC will treat its fans to Summer Motorsports Mayhem this Saturday night. The motorsports part of the program features the Spears Manufacturing SRL Southwest Tour who will be running the 51 FIFTY Energy Drink 100. That's 100 laps of bumper to bumper, door slamming, action from an organization that is regarded by many as being one of the best regional touring series in racing. The mayhem portion of the IEC's program is a direct reference to a high energy Monster Truck show featuring such famed monster vehicles such as the Bounty Hunter, McGruff and the Iron Outlaw to name a few. There will also be an awe inspiring, take your breath away, performance from professional stuntman Doctor Danger who once wowed the judges from the popular television show "America's Got Talent". What would be on track mayhem without a meltdown? The IEC covered that question by bringing in the Raging Inferno monster fire truck which is more than capable of melting down anything that dares to get in its path. 1. Actress Leah Remini best known for her starring role, for several seasons, in the smash hit CBS Television series "King Of Queens." 2. Actor Frankie Munoz is best known as the star of the hit television comedy "Malcolm In The Middle." He may be a bit of a ringer in this race because, several years ago, he spent a season driving in the Indy Lights Series. 3. Actor Adrian Pasdar had a successful run in the television series "Profit" and is currently starring in "Colony" aired on the USA Network. 4. Actor Jason Ritter is the son of actors Nancy Morban and the late, legendary, John Ritter. His television credits include "Joan Of Arcadia," "The Event" and "Parenthood." 5. Jeff "Swampy" Marsh is the co-creator and voice of the popular Disney television series show "Phineas And Ferb" as well as the co-creator of the soon to be launched Disney XD series "Milo Murphy's Law." 6. Actress Beth Littleford is a veteran actress with a lengthy list of credits to her name. She recently finished a stint on the Comedy Central network's widely popular program "The Daily Show" and can currently be seen on the Disney Channel's Emmy nominated series "Dog With A Blog." 7. Actor Blake Michael is best known for his role in the Disney movie "Lemonade Mouth" and can also currently be seen in the Disney Channel Series' "Dog With A Blog." 8. Actress, voice artist and fashion model Kelly Hu's screen credits include a role on the popular daytime soap opera "Sunset Beach" as well as film roles in "The Scorpion King" and "Cradle 2-The Grave." 9. What would an event at the IEC be without Lug Nutzz? Gordon "Lug Nuttzz" Stewart is one of the major personalities and voices on any given Saturday night at the track. He spends his week days as a popular voice at the Los Angeles base radio station KLAA AM 830 in association with ESPN. 10. Mark Kriski will be making a return appearance to the Autism race this year. Kriski is the extremely popular, and award winning, weather man on the "KTLA News Morning Show" aired each weekday morning on Channel 5 in Los Angeles. On Saturday race day the spectator gates will open at 4pm with racing receiving the initial green flag at 7pm. The speedway's popular on track autograph session will begin at 530pm allowing fans to meet the celebrities from the Autism race, get an up close and personal look at those mammoth monster trucks as well as collect hero cards from the SRL Southwest Tour drivers. General admission tickets are $15, $5 for kids with kids age five and under admitted free. That's an incredible bargain for all of this special entertainment. KERN COUNTY RACEWAY PARK. 1/2, 1/4 & 1/8 MILE. BAKERSFIELD, CA. www.kernraceway.com SATURDAY, JUNE 18. It's Wounded Heroes Fund Night at the Races, a night dedicated to the brave men and women who fight for our freedom. The Bakersfield based Wounded Heroes Fund, (WHF), is a local organization with the specific intent to assist veterans and their families affected by the war on terror in an effort to provide them with the support and appreciation they need for a healthy return to civilian life. Those looking for a way to repay the service of our military men and women can come together at the WHF banner Saturday night and contribute funds, time or their own unique skills and services. A portion of Saturday night's ticket sales as well as proceeds from a silent auction, raffle prizes and a 50/50 drawing will also benefit the cause. The on track racing action will be provided by the NASCAR Late Models, NASCAR Super Stocks, INEX Bandoleros, Mini Dwarfs and the 911 Racing Series. The initial green flag will fall on the racing at 7pm. General admission tickets, age 16 and up, are $10. Tickets for active duty military, seniors and kids age six to 15 are $7 with kids five and under admitted free. The raceway park also offers a budget friendly family four pack available at the box office and priced at $25 which admits two adults and two kids. ALL AMERICAN SPEEDWAY. 1/4 MILE. ROSEVILLE, CA. www.allamericanspeedway.com SATURDAY, JUNE 18TH. It's going to be another action packed Saturday at All American when they treat their fans to a full evening of racing from their Street Stock, Bomber, F 4, Pro 4 Modified and NCMA Sprint divisions. Plus, there's going to be special kids Power Wheel race. The spectator gates will open at 4pm. The green flag will fall on all of this quarter mile racing at 6pm. General admission tickets for adults, age 16 to 59, are $10. Children's tickets, age 6 to 15, and seniors, age 60 plus, are $7. Kids under the age of 6 will be admitted free. The speedway also has a budget friendly family pass program, priced at $35, which admits two adults and three kids. LOAN MART MADERA SPEEDWAY. 1/3 MILE. MADERA, CA. www.racemadera.com SATURDAY, JUNE 18TH. Loan Mart Madera is going to light up the fans with another one of their famous fully packed shows this Saturday night highlighted by the MAV TV televised Loan Mart Open Late Models who will be running twin 50 lap mains that pays $1,000 to win. Also on the racing agenda are the 51 FIFTY Energy Drink Junior Late Models running twin 25 lap features along with the Super Hobby Stock Series, the CSS/360 Super Modifieds, the Toyota Sedans, the Legends of the Pacific and the MST division. The very busy day starts with a practice session at 11am, qualifying at 130pm, heat races at 330pm and opening ceremonies at 430pm followed by main events for all divisions. General admission tickets are $15 and $13 for seniors and military personnel. Youth tickets, age 6 to 12, are $7 with kids age five and under admitted free. ORANGE SHOW SPEEDWAY. 1/4 MILE. SAN BERNARDINO, CA. www.theorangeshowspeedway.com SATURDAY, JUNE 18TH. The OSS racing schedule will be fully loaded this Saturday night featuring the Open Late Models, 1 800 Loan Mart Street Stocks, Just Pawn It Modifieds, Mini Stocks, Bandoleros, Figure 8's and the Barber Pole racers. Green flag time is 6pm. General admission tickets are $10. TUCSON SPEEDWAY. 3/8 MILE. TUCSON, AZ. www.tucsonspeedway.com SATURDAY, JUNE 18TH. Tucson will be presenting the Man Cave Summer Sizzle this Saturday night featuring racing from the speedway's Pro Stock, Late Model, Hornet, Legend and Bandolero divisions. The evening will conclude with an all American Demolition Derby that pays $150 just to start the main event and $500 to win it. The spectator gates will open at 5pm followed by qualifying at 515pm and racing at 7pm. General admission tickets, age 17 plus, are $12 and $10 for seniors, age 55 plus, and military personnel. Kid's tickets, age 11 to 16, are $5 with kids age 10 and under admitted free. The speedway also offers a budget friendly family pack, priced at $30, that admits two adults and two kids. UKIAH SPEEDWAY. 1/4 MILE. UKIAH, CA. www.lakeportspeedway.com SATURDAY, JUNE 18TH. Saturday night action at Ukiah will feature racing from their Bomber, Jammer, Modified, Pro 4 and Pro Drifter divisions. The spectator gates will open at 330pm followed by qualifying at 5pm with racing to follow. General admission tickets are $12 and $9 for seniors, age 60 plus, and students with valid ID. Kid's tickets, age 5 to 11, and first responders with valid ID are $6. Toddlers and infants will be admitted free. The speedway also offers a family package, priced at $30, that admits two adults and three kids. SACRAMENTO, CALIFORNIA (June 14, 2016) – Guest driving the #8 Royal Purple / All Valley Towing Beast Rex Hutchison Chevrolet, Meridian, ID's Bryan Warf earned his second consecutive victory on Saturday night. 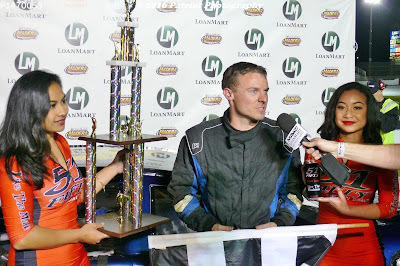 Warf claimed the MAVTV-televised Madera Super Sprint Series feature on the one-third mile asphalt oval in Madera, CA. The win goes along with Warf's victory on Memorial Day in Salt Lake City, UT as well. 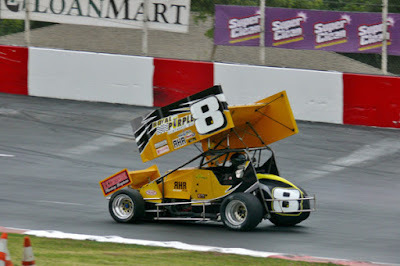 Glenn Hutchison fields the bright yellow #8 Beast chassis in both the Super Sprint Series and the Orchex King of the Wing Western Sprint Cars. His son Dylan is on an extended hiatus due to an injury unrelated to racing. In 60 laps of feature competition driving for Hutchison, Warf has led 55 laps. It took Warf just three laps to charge from fifth starting to the lead in Utah. Saturday Warf did one better charging from fourth to second in only two laps. He started on the outside pole for the 30 lap contest and shot into second on the opening lap. The following lap he swung around the outside of Justin Kawahata to take the lead. Warf accumulated a half lap lead before a late caution on lap 23 brought the field back together. The race was held as the track went from sunshine into darkness and Warf began to fight a tight condition on the car. The fans were treated to an exciting finish between the veteran Warf and impressive rookie Dylan Noble as they ran nose-to-tail. Warf mashed the gas and lifted his wheels off the ground as they came across the finish line. The official margin of victory was .266 seconds. Warf adjusted to changing track conditions throughout the day on an unseasonably mild afternoon. He led the first practice with a 13.236 second lap and had a six tenth swing for a 12.660 to lead the second session as well. His 12.873 in time trials was good enough for third before experimenting with lines in the heat race en route to a third place finish there. The next scheduled race for the #8 Royal Purple / All Valley Towing Rex Hutchison Chevrolet is July 9th during the Gerhardt Classic at Madera Speedway. A driver will be named at a later date. MAVTV Western Super Sprints air on MAVTV on Thursday nights at 5 p.m. Pacific / 8 p.m. as part of the "Madera Racing" motorsports show. Check your local listings. Dylan Hutchison Racing is presented by LearnPort, Royal Purple, Rex Hutchison Racing Engines, Naake Suspension, All Valley Tow, Rich Howell Racing, Race Tec Pistons, DT Headers, Harris Industrial Gases, WrapStar Pro and Blakesley Sports Media. MADERA, CALIFORNIA (June 13, 2016) – A sizzling hot season of MAVTV-televised short track racing continues this Saturday night at Kenny Shepherd's LoanMart Madera Speedway. Round four for both the LoanMart Open Late Models and 51FIFTY Jr. Late Models hits the fastest one-third mile in the West as both divisions hit the halfway points in their eight race super series. Super Hobby Stocks, CSS 360 Super Modifieds, Legends of the Pacific, MSTs, and Toyota Sedans make up the balance of the busy race night under the lights. The LoanMart LM will compete in a split 100 lap feature while 51FIFTY Jr. LM action is a split 50 lap contest. Matt Erickson's star has shined brightly this year at Madera, as the La Grange driver leads the Open LM points with a 3-for-3 record this year. Erickson has added two wins in the non-TV nights for a total undefeated season at the speedway. He piloted his 602 crate-engined powered #42 car to close wins over the open horsepower of Ryan Philpott in April and 2015 series runner-up Bryan Herzog in May. Perhaps the driver best prepared to throw his name in the mix is Joey Licata. Licata hails from Lake Balboa, CA and is second in the points after a third place effort in May. Philpott's spectacular engine failure in the last round relegates him to third in the standings while Ryan Hart has book-ended his season with fifth place finishes along with a 17th place run in the middle. Erickson is the only driver this year without a hiccup on his resume in the tough competition against 25 car fields. Jason Aguirre rounds out the top-five in the points ahead of David Ross. 15 year-old rookie Logan Zampa missed the first event but has since put together a fifth place run and a runner-up finish to rank seventh ahead of Garland Tyler, Glen Cook, and Shelden Cooper. 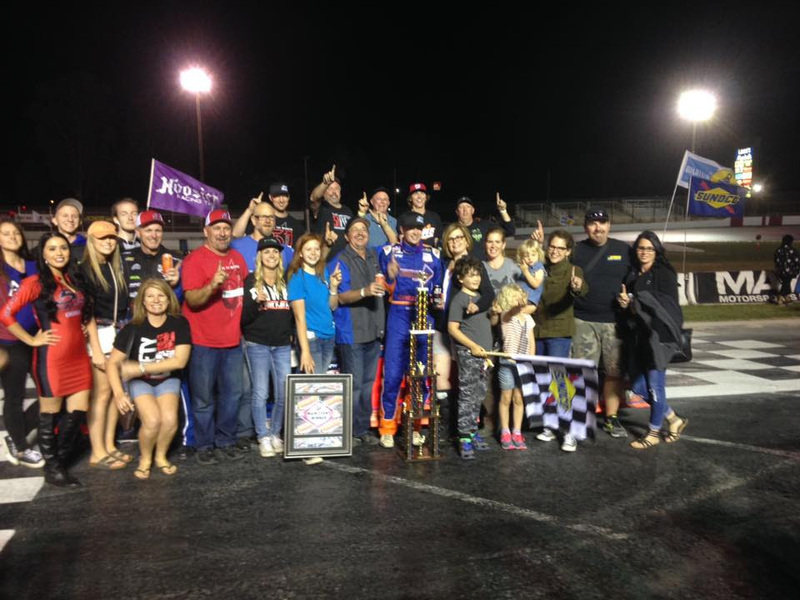 The inaugural season for the 51FIFTY Jr. Late Models has left its mark on the motorsports world. 13 year-old Austin Herzog has thrilled fans in the stands and the fans watching at home on MAVTV with wins in the opener and in round three. Mentone's Austin Edwards has made the season a complete Austin sweep with his win in race #2 in April. Herzog's come from behind victory in the May race came at the expense of 12 year-old Dezel West of Las Vegas. West soldiered on to finish second for his first top-three of the year. West leads Herzog by four points heading into Saturday's 50 lap race. 15 year-old Ryan Vargas of La Mirada finished fifth in May to rank third in the order while Canadian Ben Silliker, 11, has led quite a few laps this season to be strong enough for fourth. 15 year-olds Jarrett Gilmer, Ali Gay, Seth Holman, Kolby Berry, and Lily Mead along with Atwater's Jaden Lyn Rocha round out the drivers who made all three races this year. Bakersfield's Justin Tuey is undefeated in CSS 360 Super Modified competition at Madera this season with two wins. His win in the Vuky Classic came ahead of veterans Donnie Large, Jr. and Lance Jackson. In the Pombo/Sargent Classic it was Tuey leading AJ Russell and Jackson as the top-three finishers. Super Hobby Stocks return with Joseph Riechmuth and his black Camaro leading the standings by eight points over the very slick #25 of Chuck Dozhier. Thomas Suarez rounds out the top-three ahead of "Supermex" Eloy Bazan, and Ben Lewis. Legends of the Pacific are one of the largest divisions that competes at Madera and are a very popular traveling series. Former NASCAR K&N West driver Luis Tyrrell of Hayward and Rocklin's Robby Czub have split the two features so far at the speedway. MST veteran Kevin Thompson is yet another driver having a perfect season with five victories this year to place himself ahead of Bert Stephens, Zachary Cook, Dennis Brandon, and Dave Lander in the points. Jillaun Holden has been steady in Toyota Sedans with two wins to lead fellow female competitor Lucy Carmona ahead of Thomas Magray, Jason Lawton, and Mike Marley. Race fans can catch up on LoanMart Open Late Model action this Thursday with another original episode of "Madera Racing" The coverage will include the April 30th Round #2 of the series. "Madera Racing" airs Thrusdays on MAVTV at 8 p.m. Eastern / 5 p.m. Pacific. Adult tickets are only $15, Seniors are $13, youth ages 6-12 are $7, and kids five and under are free. Pits open at 10am on Saturday, with the first half of the LoanMart Late Model Series firing off at 5pm. There is an open practice for all teams on Friday evening from 5-8pm and the grandstands are open for free on Fridays. Bakersfield, CA – The largest field of SPEARS Southwest Tour Series teams of 2016 are set compete at Irwindale Speedway this Saturday night. The event titled, “Summer Motorsports Mayhem” will feature a unique collection of motorsports competition and entertainment in one big night. The event will include; the SPEARS (SRL) Southwest Tour Series “51 FIFTY Energy Drink 100”, a full Monster Truck show and competition featuring Bounty Hunter, McGruff and Iron Outlaw, the Dr. Danger Stunt Show, a Jet Fire Truck melt down, plus the Justice Brothers ‘Race for Autism – Celebrity Race’. CHAMPIONSHIP: Two-time SPEARS Southwest Tour Series champion, Derek Thorn of Bakersfield is the current series points leader at 530 points after three races. Seventeen year-old Ryan Cansdale of Laguna Beach is second, 35 points behind Thorn and top Rookie-of-the-Year challenger, Christian McGhee of Claremont is third, 45 points out of the championship lead. Olympia, Washington’s Parker Stephens is fourth and defending series champion, Jacob Gomes of Manteca is fifth in the championship standings. There is a maximum of 180 points available per race. PREVIOUS RACE WINNER: Ryan Cansdale led all but one lap in route to his SPEARS Southwest Tour Series win at Irwindale Speedway on April 30th. It was Cansdale’s second career series win. IMPRESSIVE FIELD: Twenty-eight SPEARS Southwest Tour Series teams, representing four states are expected to compete in Saturday’s “51 FIFTY Energy Drink 100” at Irwindale Speedway. IRWINDALE REGULARS: Drivers who have logged a lot of racing laps at Irwindale Speedway and have entered Saturday’s “51 FIFTY Energy Drink 100”, include, Trevor Huddleston, defending NASCAR Late Model champion at Irwindale, multi-time Irwindale event winner Toni McCray, 3-time Irwindale track champion - RJ Johnson and Ricky Schlick driving for Dave Reed Racing. UNIQUE EVENT: In the sixteen-year history of the SPEARS Southwest Tour Series, this is the first time the series will be paired up with an attraction outside the customary oval track competitions. EVENT 411: Adult Admission $15, children 5 and under free. Spectator gates open at 4pm, On-track Pit Party at 5:30pm, Showtime 7pm. For more information go to www.SRLSouthwestTour.com or www.IrwindaleSpeedway.com. June 11, 2016 - Jason Philpot of Sacramento collected his second season victory in the North State Modified Series, presented by Protect the Harvest, at Madera Speedway Saturday night as part of the Summertime Horsepower Nationals. Philpot also set a new track record of 14.564 seconds, blistering the previous record (15.098) set last June by Tripp Gaylord. Philpot had to race forward from tenth position after pulling a ten car inversion for the Lucas Racing Mid-State 60. Joe Rhodes, Jr. of Sacramento made his first Madera start count from the outside front row to take the lead from pole sitter Sierra Furia from Lakeport. Rhodes led 15 laps in a strong performance for the former Roseville Bomber driver. It did not take long for Philpot to move through the pack as he assumed fourth by lap eight around Lucas Oil Dash Winner Guy Young of Redding. Furia drifted back to eighth position by lap ten in a tough start for the rookie. The leaders encountered lapped traffic by lap 15 when the first caution came out for Eric Price, Jr. stalled on the track. At the same time John Baker's car overheated forcing him to an early retirement. Rhodes picked the outside on the restart and points leader Darrin Knight of Kelseyville took advantage to take the lead into turn one. The move was nullified when Furia spun across the front stretch head on into the wall. Rhodes chose the inside on the next attempt but Knight was not deterred as he took over the lead on lap 16. Rhodes eventually was shuffled back to fifth. Knight lead 14 circuits with Philpot in heavy pursuit. Philpot dove inside Knight on lap 29 through turns three and four with the pair making slight contact sending Knight spinning. Philpot drove off with the lead and Knight had to restart from the rear. The fast-paced race had one more caution on lap 43 when Young went up in smoke. Philpot drove away from the pack once more to take the .556 second win over Upper Lake's Charlie Collins, Rhodes, Knight, and another Northern-area driver Darrin Sullivan of Kelseyville. Rounding out the top 10 were Nick Lyons, Cody Thompson, Rich Cobb, Bryan Denton and Terry Deal. With points leader Mike Collins electing to sit out this event, Knight's took over the points lead with Rich Cobb, Codi Barba, Darrin Sullivan and Bryan Denton in the top 5 spots. Young collected $100 in the Lucas Oil Dash for Cash, with Denton getting $50 for second. Philpot earned the Wenteq Hard Charger Award for passing the most cars. Rhodes took home the Naake Suspension award, and the DJ Safety Certificate went to Charlie Collins. Philpot also earned the Penney Racing Supply/Sunoco Fast Time Award. The next North State Modified Series event will be at All American Speedway on June 25. This special fair event will be shared with the Pacific Challenge Series Late Models and the Nor Cal Pro-4 Modifieds. The North State Modified Series is presented by: Protect the Harvest, Swartz Diesel, Lucas Oil, Sinister Diesel, Penney Racing Supply, American Racer Tires, Naake Suspension, Sunoco Fuels, Five Star Bodies, Wrap Star Pro, Wenteq, Scribner Plastics, DJ Safety, and Buckhorn Bar & Grill. LUCAS OIL DASH FOR CASH: Guy Young, Bryan Denton, Eric Price Jr., Jason Philpot, Cody Thompson, Charlie Collins. DACONO, Colo. (June 12, 2016) – Chris Eggleston didn’t let a rain delay prevent him from winning in front of his hometown fans Saturday night in the NAPA/Toyota 150 at Colorado National Speedway. The 26-year-old Erie, Colorado native collected his second consecutive NASCAR K&N Pro Series West victory after leading 102 laps. It wasn’t an easy win however, Eggleston had to overcome a two hour rain delay and numerous battles for the lead, including one with his teammate Todd Gilliland with one lap to go. This marks the Colorado native’s second K&N Pro Series West win at his home track. He earned his first in 2014 which resulted in him getting a full-time ride with Bill McAnally Racing and ultimately, the 2015 NASCAR K&N Pro Series West championship. Gilliland, a member of the 2016-17 NASCAR Next class and the leader in the Sunoco Rookie of the Year standings, finished runner-up to his teammate after winning the 21 Means 21 Pole Award earlier in the day. Gracin Raz, last year’s NAPA/Toyota 150 race winner Ryan Partridge and Blaine Perkins rounded out the top five. Fellow NASCAR Next members Julia Landauer and Noah Gragson finished sixth and 10th, respectively. While Ron Norman, Matt Levin and Cole Rouse completed the top 10. The NAPA/Toyota 150 will air on NBCSN Thursday, June 16 7 p.m. ET/5 p.m. MT. 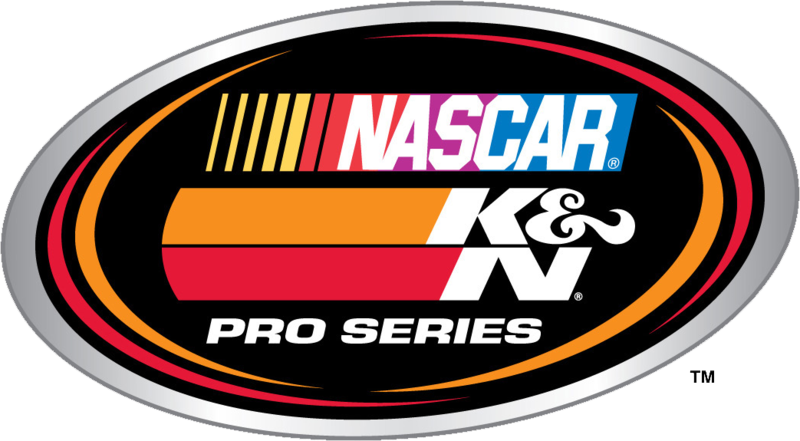 The NASCAR K&N Pro Series West will be back in action Saturday, June 25th at California’s famed road course, Sonoma Raceway. 1. (2) Chris Eggleston, Erie, Colo., Toyota, 150 laps, 51.139 mph. 2. (1) Todd Gilliland, Sherrils Ford, N.C., Toyota, 150. 3. (5) Gracin Raz, Lake Oswego, Ore., Ford, 150. 4. (4) Ryan Partridge, Rancho Cucamonga, Calif., Ford, 150. 5. (6) Blaine Perkins, Bakersfield, Calif., Chevrolet, 150. 6. (7) Julia Landauer, New York, N.Y., Toyota, 150. 7. (11) Ron Norman, Tucson, Ariz., Ford, 150. 8. (12) Matt Levin, Tucson, Ariz., Ford, 150. 9. (8) Cole Rouse, Fort Smith, Ark., Ford, 150. 10. (10) Noah Gragson, Las Vegas, NV, Ford, 150. 11. (13) Stafford Smith, Eagle, Idaho., Toyota, 150. 12. (15) Dan Phillippi, Los Angeles, Calif., Toyota, 150. 13. (9) Riley Herbst, Las Vegas, Nev., Toyota, 149. 14. (3) Cole Moore, Granite Bay, Calif., Toyota, 149. 15. (14) John Wood, Eagle, ID, Chevrolet, 149. 16. (16) Jesse Iwuji, Dallas, Texas, Toyota, 147. Caution Flags: 6 for 40 laps. Lead Changes: 11 among 3 drivers. Lap Leaders: T. Gilliland 1-23; C. Eggleston 24; T. Gilliland 25-37; C. Eggleston 38-77; R. Partridge 78-79; C. Eggleston 80-88; R. Partridge 89; C. Eggleston 90-136; T. Gilliland 137-143; C. Eggleston 144-146; T. Gilliland 147-148; C. Eggleston 149-150. Standings: 1. T. Gilliland, 221; 2. C. Eggleston, 217; 3. N. Gragson, 187; 4. J. Landauer, 186; 5. C. Rouse, 181; 6. G. Raz, 180; 7. R. Partridge, 174; 8. R. Herbst, 174; 9. R. Norman, 172; 10. B. Perkins, 164. MADERA, CALIFORNIA (June 11, 2016) – Ukiah's Kyle Tellstrom won his second straight Lucas Oil Modifieds race at Madera Speedway, claiming the California Farmers 75 as part of the Summetime Horsepower Nationals at the one-third mile oval. Tellstrom led the final 58 laps to add to his $5,000 win in last October's Short Track Shootout. Saturday night's action saw both the North State Modifieds and the Lucas Oil Modifieds break their respective track records. The top-four Lucas cars broke the previous record. MAVTV coverage for the evening included both the Lucas Modifieds and the Madera Winged Super Sprints being filmed for later broadcasts. Tellstrom had to defend himself against the challenges of Linny White who is the only repeat winner in the 2016 series. Tracy's Scott Winters had won the previous two Summertime Horsepower Nationals and led the opening 17 laps of the feature. Winters, the former track champion, started alongside White at the start of the 26 car contest but a little bit of contact in turn one on the second lap shuffled White back to fourth. The first of seven cautions of the feature occurred on lap four when Brian Collins and Eddie Secord tangled in turn one. Another incident saw Madera's Elliott Sterjne spin in turn two on lap six. William Guevara of Lake Havasu City, AZ had his first trip into the wall on lap eight for the next stoppage. Things settled down from there with the top eight cars in a lead pack running nose-to-tail around the top of the high banked speedway. Tellstrom used that green flag run to close down on Winters before completing a thrilling slidejob off of turn four to lead lap 18. Larry Gerchman and Aaron McMorran had contact for the next caution on lap 23 in an incident that collected Idaho's Shelby Stroebel as well. McMorran was unable to continue and Gerchman was sent to the rear for his involvement. Winters used that restart to take third at one third race distance with Tellstrom pulling away. Lapped traffic on lap 40 brought the field back together before another caution on lap 47. Going back to green fast-time qualifier and new track recorder holder Austin Barnes slowed and the race went back to yellow. Barnes was able to get back into gear to continue his race albeit from the rear. A hard crash on lap 50 involving Shane Skaggs from Albuquerque and Guevara was the final caution of the race. Tellstrom took a .349 second victory over a late charge from White with Winters settling for third over former series champion Dylan Cappello from Peoria, AZ. Incoming points leader Matt Hicks finished fifth. The co-main event was the Lucas Oil Racing Mid-State 60 for the North State Modified Series. Sacramento's Jason Phipot is now a perfect two-for-two in the series for 2016 and took both the track record and the race victory. Philpot had to race forward from tenth position after pulling a ten car inversion after qualifying. Joe Rhodes, Jr. of Sacramento made his first Madera start count from the outside front row to take the lead from pole sitter Sierra Furia from Lakeport. Rhodes led 15 laps in a strong performance for the former Roseville Bomber driver. It did not take long for Philpot to move through the pack as he assumed fourth by lap eight around Lucas Oil Dash Winner Guy Young of Redding. Furia drifted back to eighth position by lap ten in a tough start for the rookie. The leaders encountered lapped traffic by lap 15 when the first caution came out for Eric Price, Jr. stalled on the track. Knight's lead was short-lived as Philpot closed in quickly. Philpot dove inside Knight on lap 29 through turns three and four with the pair making contact to send Knight spinning. Philpot drove off with the lead and Knight had to restart from the rear. The fast-paced race had one more caution on lap 43 when Young went up in smoke. Philpot drove away from the pack once more to take the .556 second win over Upperlake's Charlie Collins, Rhodes, Knight, and another Northern-area driver Darrin Knight of Kelseyville the top-five. Meridian, Idaho's Bryan Warf took advantage of a great opportunity, guest driving the #8 Glenn Hutchison-owned Sprint Car to the Madera Winged Super Sprint victory. Warf's win was his second straight in the car after primary driver Dylan Hutchison is out with a wrist injury unrelated to racing. Warf first won on Memorial Day in Utah before heading to Madera. The 30 lap feature started 10 cars but it was a high quality field. Justin Kawahata started outside heat race winner Tom Baker for the feature and led the opening lap. Warf was on the move from the get-go from fourth on the grid and swung around the outside of Kawahata to lead lap two. AJ Russell from Clovis took over the second position from Kawahata not long after that. Russell battled Warf briefly before falling out with mechanical problems on lap 11. Warf pulled away to almost a half-lap lead while rookie Dylan Noble used an over/under maneuver to take Baker on the outside for third and third Kawahata inside for second. Gordon Rogers had a spin on lap 23 that set up a seven lap shootout between Warf and Noble. Warf gassed it hard with a tight race car, lifting his wheels off the ground on several occasions. The pair rippped across the line nose to tail for a close finish with Cody Gerhardt two seconds back in third. Kawahata and Baker were the top-five with heat winner Anthony Simone sixth. Toni Breidinger led 11 laps en route to the win in the USAC HPD Midgets 30 lapper. Cody Jessop made his return to Madera and was the race leader for much of the event with Jesse Love IV and Breidinger in a close pursuit. Love eventually spun from second in turn three on lap 15 and collected his teammate Antonia Boscocci in the process. After a lengthy caution to clean up fluid from Adam Lemke's car, the battle was on between Breidinger and Jessop. Jessop eventually relinquished the lead on lap 20 and fell all the way to fifth with apparent mechanical problems. Toni led her sister Annie across the line with first timer Joey Iest, Blake Brannon, and Jessop rounding out the top-five. The Loanmart Madera Speedway continues a busy June this Saturday with the LoanMart Open Late Models, 51FIFTY Jr. Late Models, Super Hobby Stocks, CSS 360 Super Modifieds, Legends of the Pacific, MSTs, and Toyota Sedans in action.